Wireless charging for the iPhone 7s/7s Plus? It’s a fact of life that whenever the reveal date of a new device gets closer, more leaks will start appearing online. We’ve already seen images reportedly showing the iPhone 8’s dummy chassis, but these new photos offer a clearer picture of what we might see in the flagship handset and both the iPhone 7s and 7s Plus. The images, which appeared on reddit, are said to come from a case manufacturer who received them from a glass supplier in China. “I have a friend in the industry who just sent me these. He said the Chinese manufacturers got these last week,” wrote redditor kamikasky. The iPhone 8 looks pretty much identical to the schematics that were leaked in April. The super-thin bezels have been an almost certainty for some time, and it appears as if Apple is building Touch ID into the device’s display, with no sign of the sensor on the rear of the phone. There’s also a vertical camera setup on the back. There have been different rumors about what the front of the iPhone 8 will look like. Some thought the sensors and front-facing camera would be hidden beneath the screen, but it seems the handset will have a visible row of sensors across the top that breaks up the edge-to-edge display. Android co-creator Andy Rubin’s Essential phone has a similar feature, though its single camera lens is much less intrusive. The second photo allegedly shows the 4.7-inch iPhone 7s and the 5.5-inch iPhone 7s Plus components. 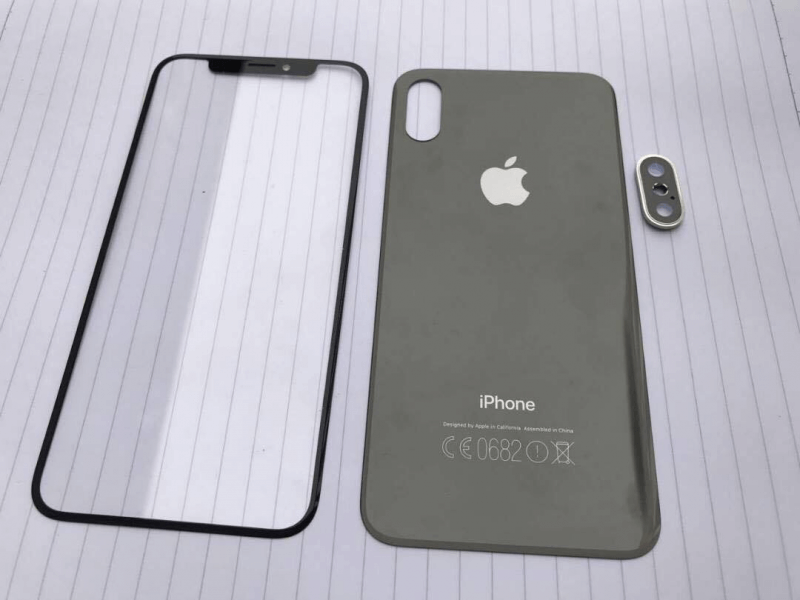 The rear shells are said to be made of glass, meaning the iPhone 8 won’t be the only new Apple handset to support wireless charging. As always, there’s no guarantee that these images are the real deal. But with so many new iPhone 8 leaks now showing a similar design, it looks as if the final handset could closely resemble what we see here.